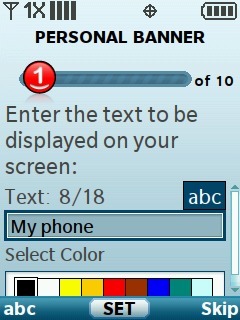 Enter a Personal Banner, select a font color then press OK to choose SET. 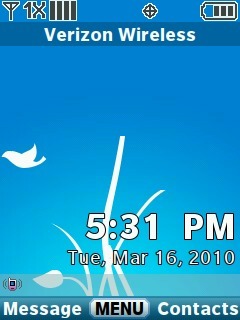 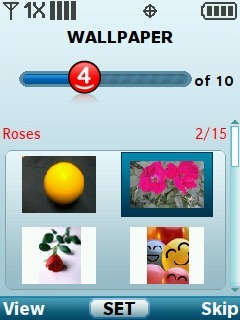 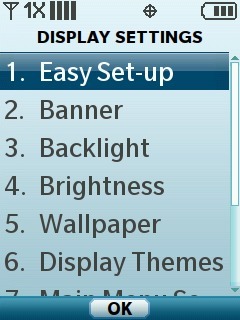 Select a Wallpaper then press OK to choose SET. 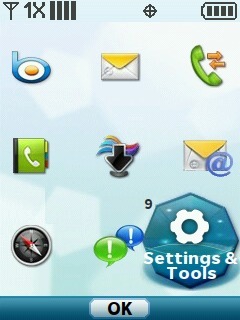 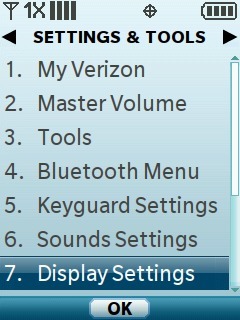 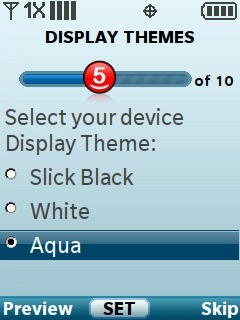 Select a Display Theme then press OK to choose SET. 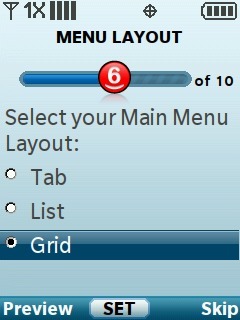 Select a Menu Layout then press OK to choose SET. 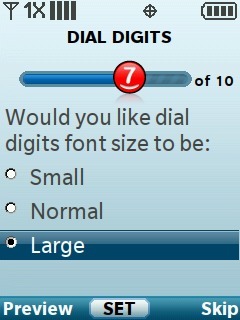 Select the Dial Digits font size then press OK to choose SET. 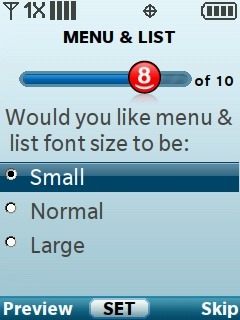 Select the Menu & List font size then press OK to choose SET. 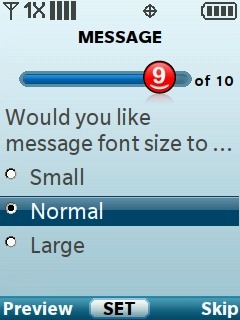 Select the Message font size then press OK to choose SET. 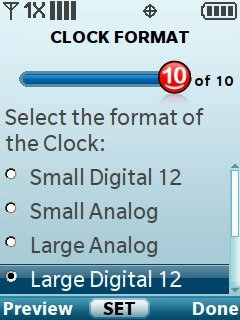 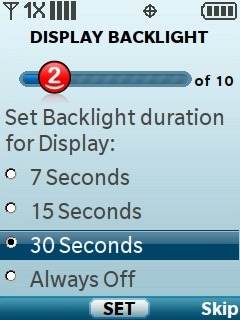 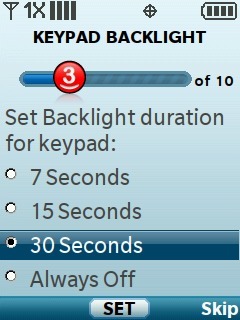 Select the desired Main Clock format then press OK to choose SET.